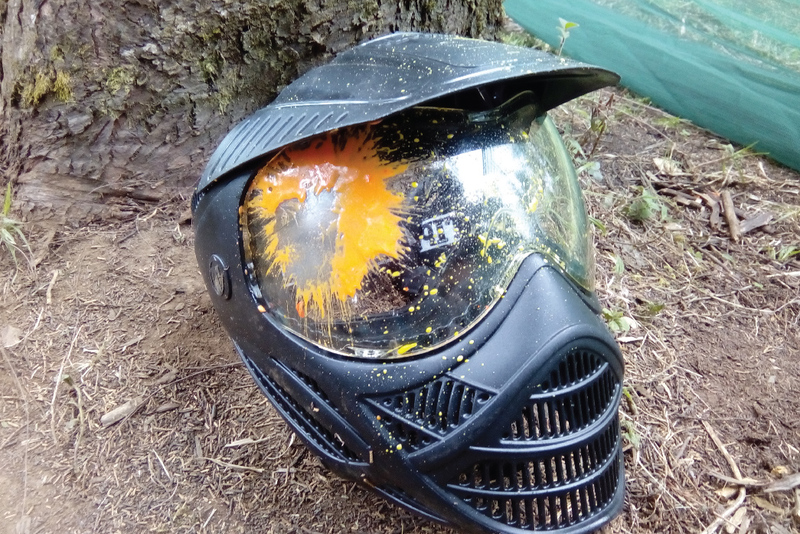 SHOOT AND SPLUTTER TO COME OUT ON TOP!!! 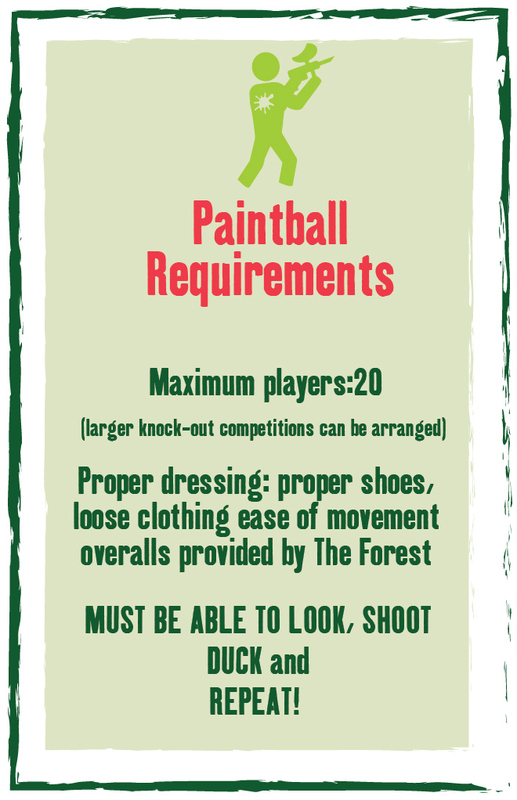 Pick your team, get kitted out and start dodging exploding paint balls in one of the most exhilarating activities at The Forest. 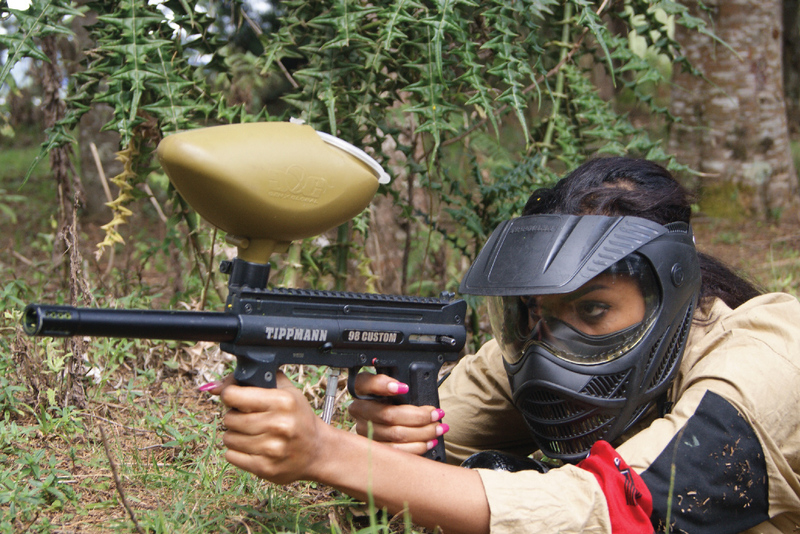 Paintball is a terrific team activity in a fun and safe environment. 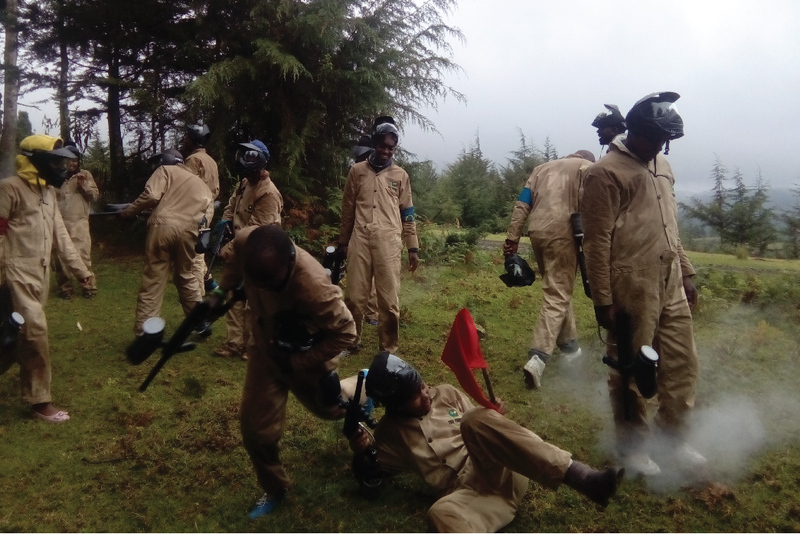 It also teaches valuable principles such as delegation, communication, motivation, strategy and trust; all perfect for team building exercises. 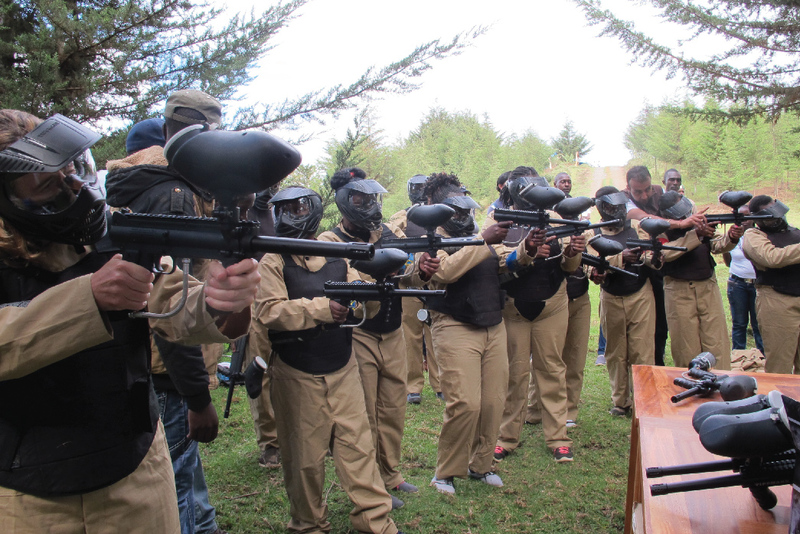 Every member of your team counts and participation is a must……Shoot or be spluttered in sticky paint. 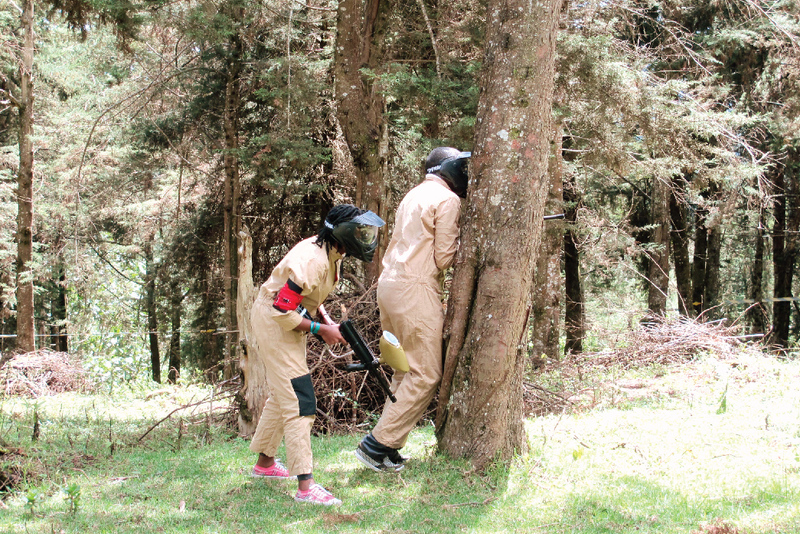 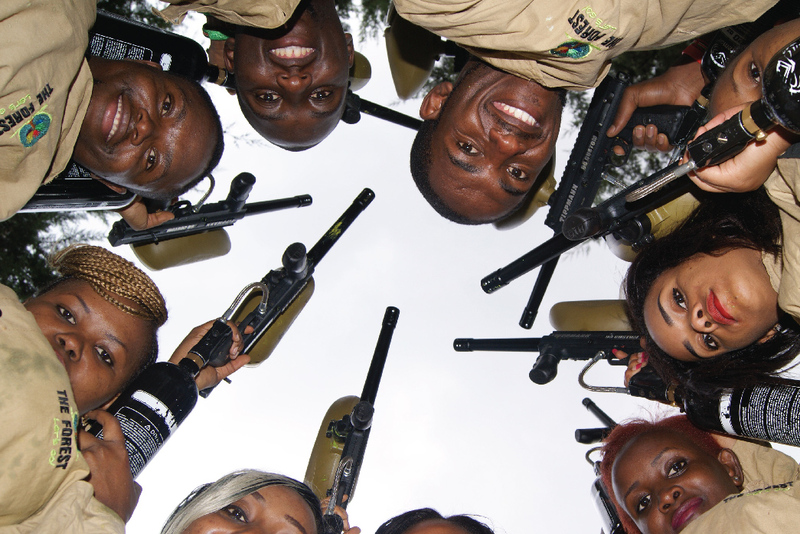 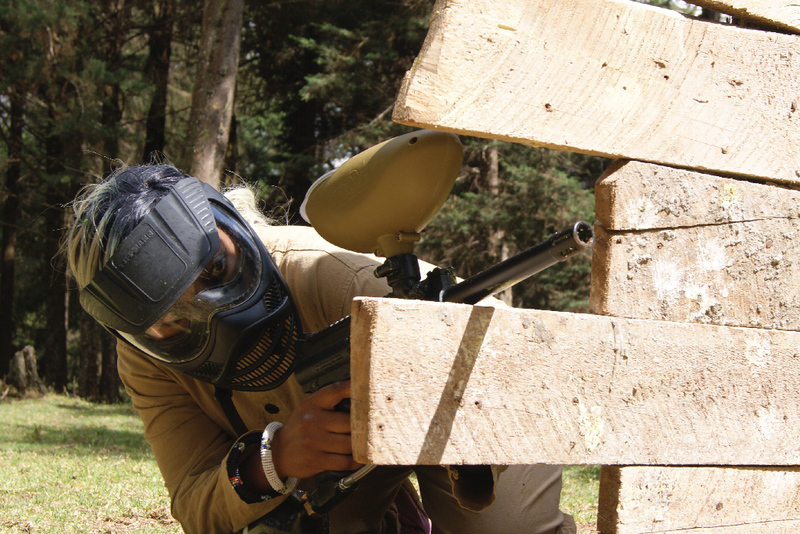 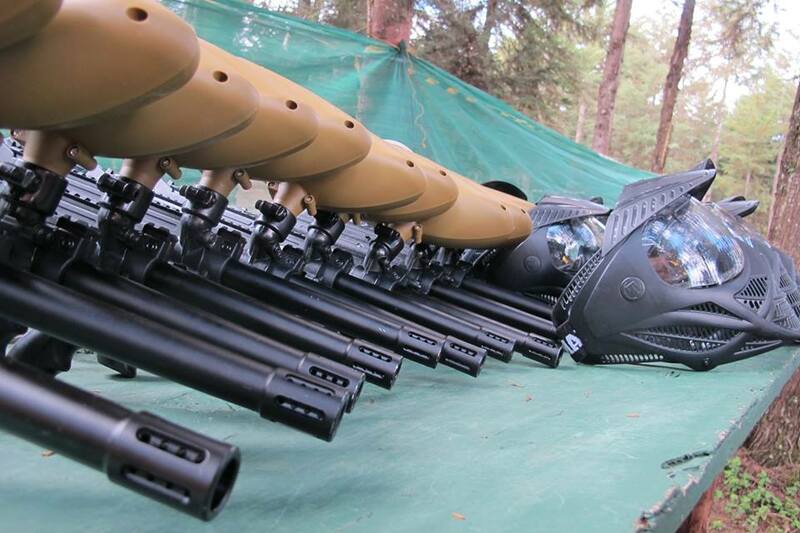 Make your booking early enough to enjoy your paintball experience. 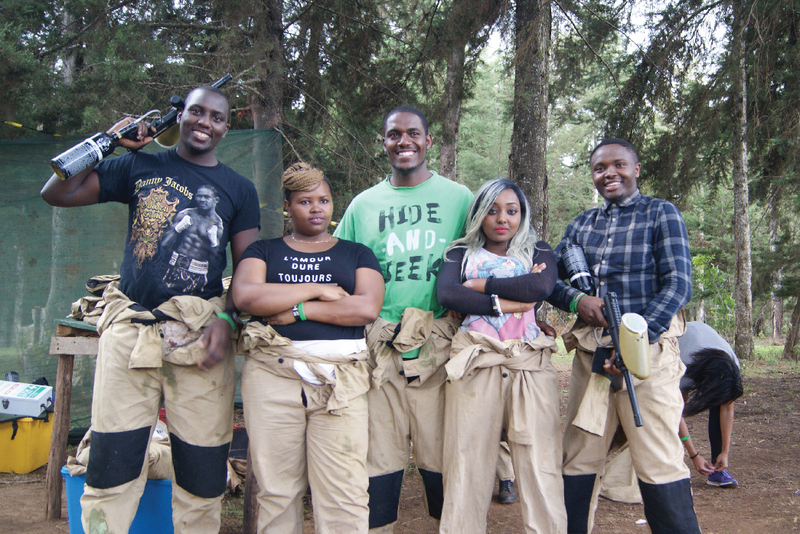 Follow the button below to make a booking or call the following numbers.